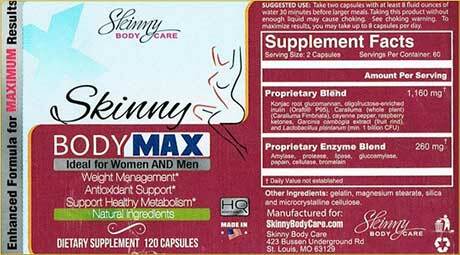 Skinny Body Max is a diet pill developed and distributed by Skinny Body Care. The company’s flagship product is a diet pill called Skinny Fiber and, since it was introduced to the market in 2011, Skinny Body Care have added a number of other diet pills to their range. At the time of this review, Skinny Body Max was the latest and the company was stating the product is so good it renders everything else obsolete. However, they were still actively marketing their other products as well. If the new product is as advanced as they say, why not close shop on the other products and concentrate on the best that they’ve got? Quick comment: We highly recommend LeanBean – a female only diet pill that tackles the reasons why women find it hard to lose fat in certain areas. Some of the ingredients are known to be good, others have more debatable value, but the biggest problem here is the lack of inclusion rates. Some ingredients, such as glucomannan, will only work if minimum inclusion rates are met. Others, such as garcinia cambogia, need to meet certain quality standards. Scientific study shows glucomannan’s ability to absorb water and expand in the stomach can create a feeling of fullness that can quell the desire for food, but the data suggests each dose needs to provide 1g of glucomannan fibre, and experts at the European Food Safety Authority state three does are needed per day. Garcinia cambogia is an appetite suppressing fruit extract that provides hydroxycitric acid (HCA). The presence of HCA gives garcinia cambogia the power to interfere with the body’s ability to store fat, but garcinia cambogia extracts only work if they are at least 60% HCA. There is no way to be certain the extract provided here has this potency because the label on the bottle does not say. Caralluma cactus extract is also a potentially good inclusion because 1000mg per day has proven to be effective for weight loss, but no inclusion rate is provided and it seems probable the formulation will not contain enough. Cayenne stands out as being one of the better inclusions because it boasts proven fat burning power and also has pretty good credentials as an appetite suppressant. If the raspberry ketones is the version extracted from fruit, and enough has been added, it should further suppress the appetite and assist weight loss, but if the man-made version is being used it will offer little benefit at all. The value of the other ingredients is questionable at best and the blend of enzymes provided is the most questionable addition of all. Enzyme supplements are fast becoming all the rage, but a paper published by a Mayo Clinic health expert points out there are certain pros and cons. On the one hand such supplements may offer health benefits, but they can also upset the stomach and one enzyme (bromelain) can reduce blood clotting ability. How To Use – According to the instructions provided on the label, two capsules should be swallowed, with 8oz of water, 30 minutes before eating larger meals. The label fails to state how many doses are needed per day. If you buy Skinny Body Max from SkinnyBodyCare.com you get a 90-day money back guarantee. If you purchase via a Skinny Body Care distributor you get one too. 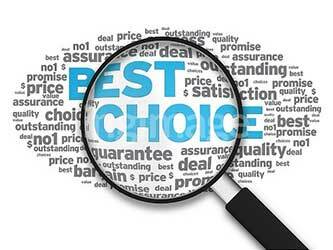 However, if you choose to buy via another supplier, you void the manufacturer’s guarantee. Skinny Body Care states the capsules may pose a choking hazard if they are not swallowed with sufficient water. Customers who find use of the capsules results in vomiting or chest pain are advised to seek immediate medical attention. The same advice is offered to capsule users who experience swallowing difficulties or find it becomes hard to breathe. 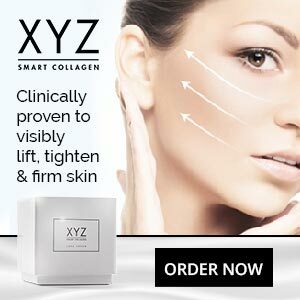 Skinny Body Care sell their products via the company website and also market them using multi-level marketing (MLM) marketing partners, many of which have created their own websites. The best place to buy Skinny Body Max is from SkinnyBodyCare.com, or via a MLM marketing partner. Buying via other channels will mean there is no money back guarantee. The price per bottle is $59.95 (or £ equivalent) and each bottle contains 120 capsules. So if you are only taking two doses a day, a bottle will last 30 days. If you are taking three doses a day a bottle will only be good for 20 days. That would make this quite an expensive product to use. However, it’s possible to reduce the cost per bottle by placing larger orders and people who buy three bottles of Skinny Body Max for $179.90 get an additional three bottles free of charge. 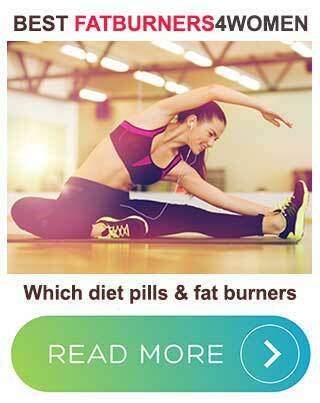 Skinny Body Max is diet pill that contains a mishmash of good ingredients and ones of lesser value. It may very well do some of the things the manufacturers say, but it’s certainly not the most advanced diet pill you can buy and customer reviews suggest the formulation does not work for many people. However, a money back guarantee is offered, so people who are especially keen to try this product should have nothing to lose. It’s not one of the better options available though. We have evaluated several diet pills that have a superior reputation for getting results and are more deserving of the title “best diet pill on the planet”. We have created a list of what we suggest are the best female diet pills to use. We use criteria such as the products efficacy and safety as well as customer feedback. We also take into consideration the after sales service and the guarantee period.